Where Does Your Blood Go After a Donation? According to the American Red Cross, an estimated 38 percent of the U.S. population is eligible to donate blood at any given time, although less than 10 percent of that eligible population actually do each year. The average blood donation takes approximately 45 minutes. Our donors know the blood donation process well — register, complete questionnaire, short physical exam, donate, refuel with refreshments. But, what happens to the blood once the donation is complete? At the end of each donation, samples are collected and tested to determine the blood type and ensure the blood is free of infectious diseases and safe for use. The unit of blood is divided into at least two, sometimes three, components including red cells, platelets, and plasma. These components can help up to three patients. The blood products are then labeled according to blood type. The blood is then transferred to storage. Red blood cells can be kept refrigerated for 42 days. Platelets can be refrigerated for 5 days. Plasma can be frozen for up to one year. 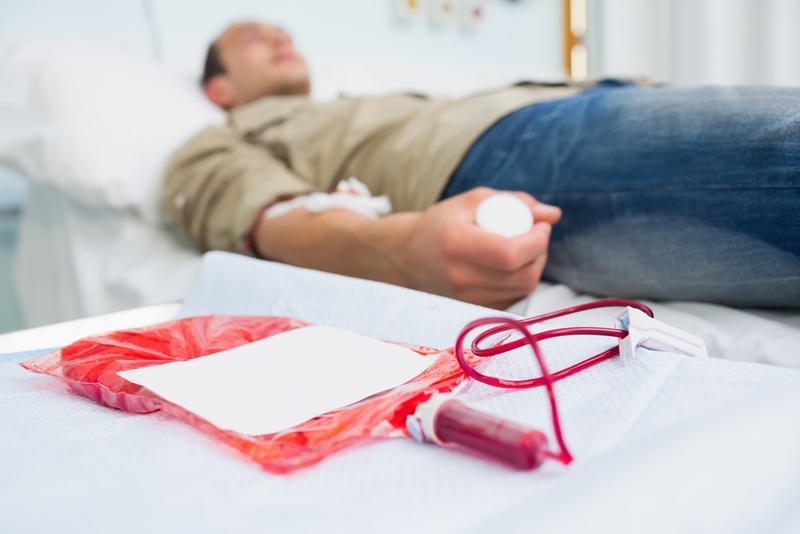 When a physician orders a blood transfusion for a patient, the unit of blood is first tested to make sure it is compatible with the patient's blood type. If the blood product is compatible, it is then transported to the patient's location. The blood product is then transfused into the patient.